Snowfall accumulations as far south as the Gulf Coast! 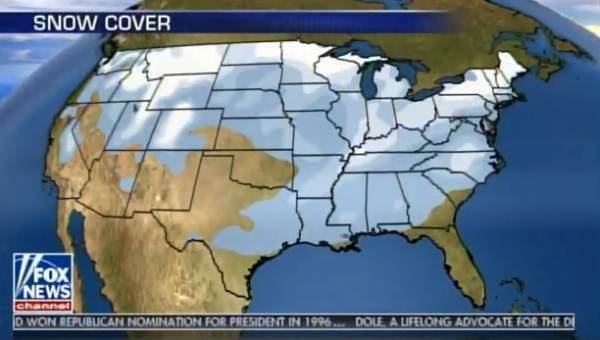 Yesterday morning, all 50 states and 52.3 percent of the country were covered in snow. To have snow on the ground in all 50 states – at the same time – is fairly rare. The last time that happened was on February 12th, 2010. A little known fact about Hawaii is that it often snows. Of course, that is always on the Big Island's Mauna Kea volcanic peak. Typically, the hardest state to get accumulating snowfall is Florida. This season has already featured three snowfall events in northern Florida! Earlier this week, we reported that Russia's remote Yakutia region dropped to minus 88.6 F , -67c. Since then, many questions have come about wondering the coldest temperatures ever recorded in the United States. 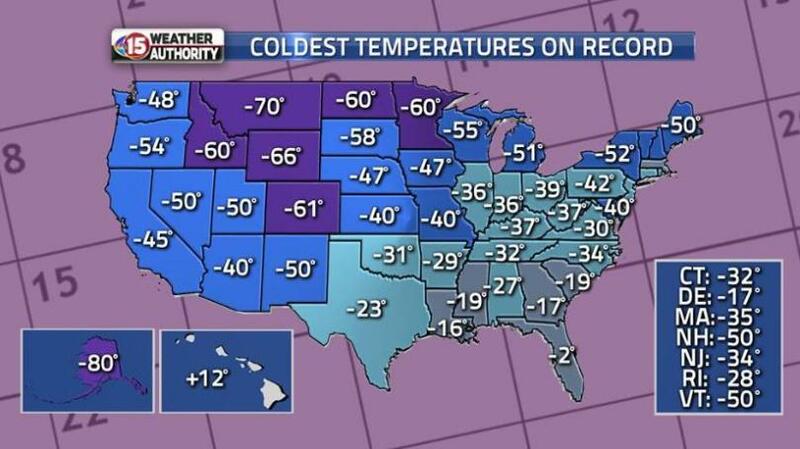 When it comes to the coldest temperature ever recorded in the United States, as expected, Alaska takes the crown. The mercury plummeted to -80F, -62.2c, on January 23, 1971 in Prospect Creek in central Alaska, north of Fairbanks. Is there any chance of rain in Jabalpur(East MP)from coming System ? This winter is going very dry . Even neither Cold Wave nor Cold Day Condition occurred in this season (In east MP). Sir What is your views about this winter season ? will summer knock sooner this year ?